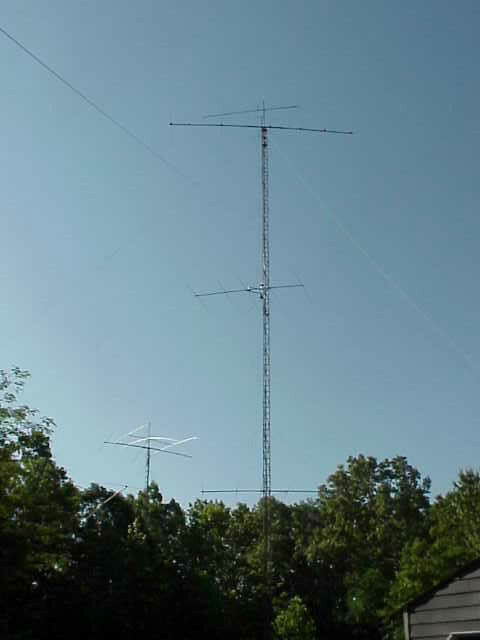 Attached is a picture of my 3 stack on 15 meters.. Has a 6/5/5 at 140/90/45' Bottom fixed on EU, middle rotates 300 degrees. Jay asked me to send a picture when at Dayton... A little late, I agree, but here it is. The first two shots are from two different angles and show a 7EL 6M beam above the 6EL 48' boom top antenna.. The shot below shows the 15M op position minus the second amp with the StackMatch box on top of the FT1000 on the left. I will order another 3 way stack-match and hope it gets here by the 10M contest! 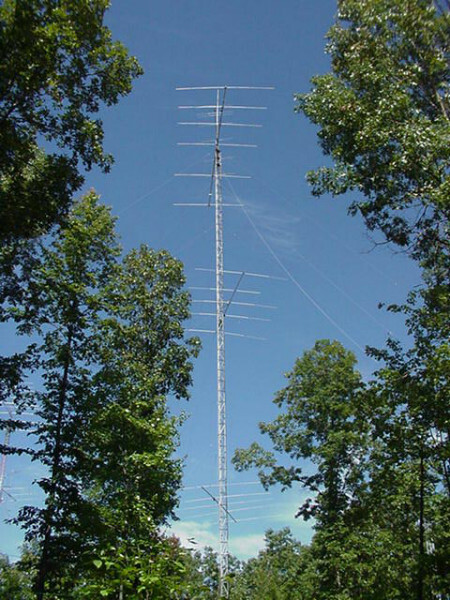 Want to try some dissimilar antennas.. Have 7El @ 145'. a 3EL duo-bander @75' and a TH7 @ 65'. Can TDR the coax to make the feed lines equal. Have plans for a 7/5/5/5 stack for 10M. 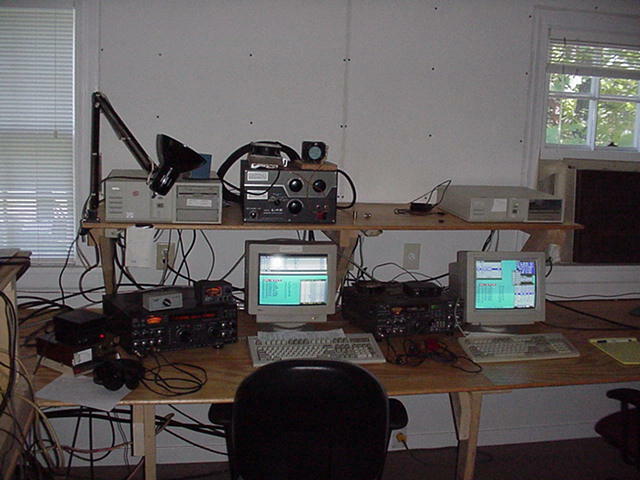 Should be ready by ARRL contests!